If you’re looking for used cars for sale in Burlington, you should look no further than Budds’ BMW Oakville. Budds’ BMW Oakville is located on the South Service Road, which is easily accessible from Bronte Road, right off the QEW. Our dealership is in very close proximity to Burlington, so Burlington residents do not have to travel far to find used cars for sale in Burlington. Budds’ BMW Oakville is well known for providing the public with very high quality vehicles that are both new and pre-owned, and we are very confident that you will be able to find the vehicle of your dreams with us. Just because you are looking into the purchase of a used vehicle at Budds’ BMW Oakville, does not mean that you will have to sacrifice on the quality in any way. All of our used cars for sale in Burlington have been inspected and tested thoroughly to ensure that they can be certified to sell to our valued customers. These tests and inspections are carried out by our professional BMW service technicians, so you can have confidence that your used vehicle has been given the green light of approval by the best people for the job. Along with our quality used cars for sale in Burlington, Budds’ BMW Oakville also takes great pride in our customer service that goes hand in hand with our selection of vehicles. 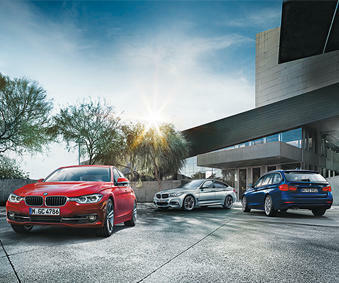 From the moment you step foot into our dealership at Budds’ BMW Oakville, you are greeted by our friendly and professional representatives who are perfectly capable of directing you to the vehicles you are interested in, and answering any of your questions, and giving you useful advice and recommendations. If you are looking for used cars for sale in Burlington, we recommend that you come into Budds’ BMW Oakville and check out our premium selection of used BMW vehicles. It doesn’t matter if you are looking for an SUV, sedan, coupe, luxury vehicle, or performance car, Budd’s BMW Oakville has the selection of used cars for sale in Burlington that you want! When you go to our Budds’ BMW Oakville website looking for used cars for sale in Burlington, you will be met with a large inventory, and a variety of filter options to help you narrow down your search. Our customers can choose from options like year, make, model, color, transmission, drivetrain, doors, city, dealer, and trim to name a few, and these filter options help the customer find the specific car that meets their criteria. This is an effective tool for people who do not have the time to go through page after page of vehicles in hopes that they will find something that meets their needs. Instead, these filter options allows customers to plug in the exact specifications they are looking for, and have only the vehicles that meet those specifications show up on the search results. For more information about used cars for sale in Burlington, please continue to browse through our Budds’ BMW Oakville website, or you can contact us via phone or email for further inquiries.